ARE Pests Bugging You & Your Family? Help Is Available From Our Pest Control Services! 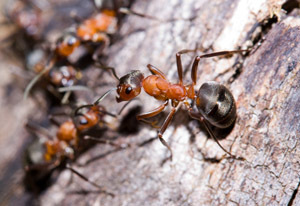 Rid your home of unwanted pests with our complete work from our family-owned and operated local pest control company. Since 1975, Avalon-Glavis Pest Control Services, Inc. has been serving Lake & Ashtabula County homowners with full pest control services as well as wildlife control to help area families feel more comfortable inside their living space. Contact our fully licensed, bonded and insured company for complete pest and wildlife control services at prices you can afford. Call today for your free phone estimate to rid your home of Bed Bugs, Bees, Wasps, Ants, Spiders, etc. At Avalon-Glavis Pest Control, Inc. we put the needs and safety of your family first which is why we only use EPA-approved materials that are safe for children and pets. Our excellent and professional services, as well as our great prices, make eliminating pests and wildlife from your property a satisfactory experience.